New methods for producing and characterizing attosecond X-ray pulses. Ultrashort X-ray pulses (pink) at the Linac Coherent Light Source ionize neon gas at the center of a ring of detectors. An infrared laser (orange) sweeps the outgoing electrons (blue) across the detectors with circularly polarized light. Scientists read data from the detectors to learn about the time and energy structure of the pulses, information they will need for future experiments. Copyright: Terry Anderson / SLAC National Accelerator Laboratory. European XFEL produces unfathomably fast X-ray pulses that are already being used by scientists to explore the unchartered territory of the atomic and molecular cosmos. Intense X-ray pulses lasting only a few femtoseconds – or a few millionths of a billionth of a second – are being used to reveal insights into the dynamics of chemical reactions and the atomic structures of biological molecules such as proteins and viruses. And while there is much more to discover in this femtosecond time range, scientists are already looking to take European XFEL to the next time dimension, exploring reactions and dynamics that occur on an even briefer time scale – the attosecond time regime. If you leave the shutter of your camera open for too long while photographing a race, the resulting pictures will only be a smear of colour. To capture clear and sharp images of the athletes’ movements you need to make sure the shutter is only open for the shortest time; in fact the best shutter speed to capture a clear snapshot of the runners’ legs frozen in action would be faster than the time the runner needed to move their legs. Good light conditions help too to make sure your photos are sharp and in focus. And so it is as scientists attempt to take snapshots of some of nature’s fastest processes such as the movements of electrons within atoms and molecules. To capture snapshots of these movements in action we need pulses of intense X-rays that reflect the timescale on which these reactions occur – and these reactions can occur even down to the attosecond timescale. 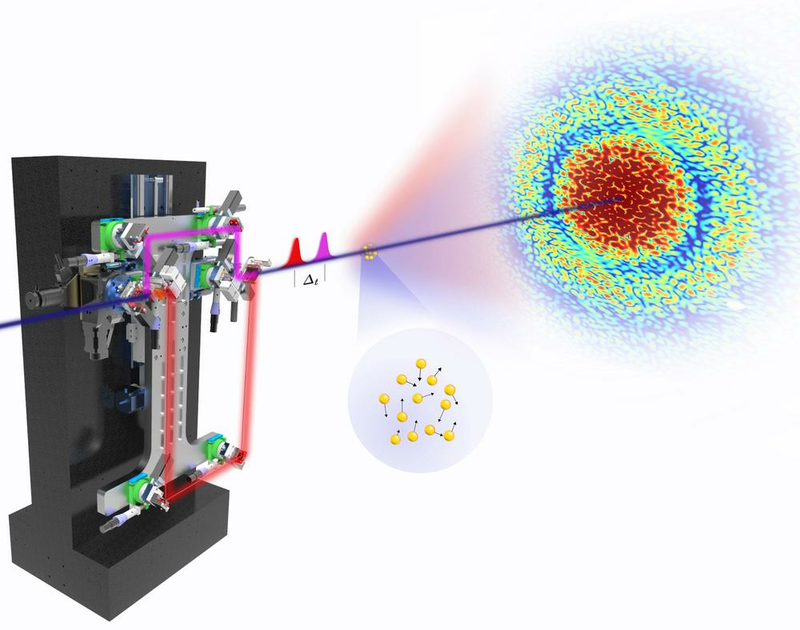 Attosecond X-ray science is expected to allow scientists to delve even deeper into ultrafast chemical and molecular processes and the tiniest details of our world than already possible. But how to produce X-ray flashes that are even shorter than the already ultrafast femtosecond flashes? One of the methods currently being explored by scientists is ‘X-ray Laser-Enhanced Attosecond Pulse generation’ (XLEAP). 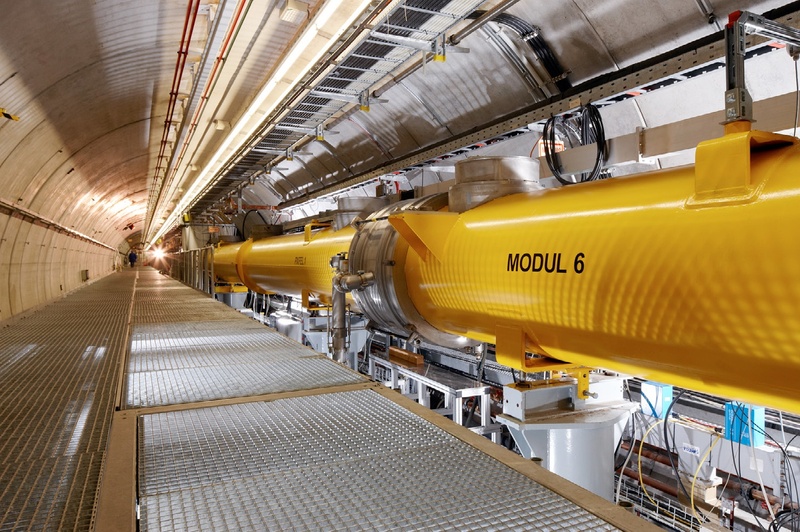 The method, being developed at the SLAC National Accelerator Laboratory in the USA, is expected to be possible with only moderate modifications to the layout of existing FEL facilities. If successful, the usually chaotic time and energy structure of XFEL (X-ray Free-Electron Laser) pulses, consisting of a sequence of many intensity spikes based on the so-called SASE (Self-Amplification by Spontaneous Emission) principle, can be reliably narrowed down to one single, coherent intensity spike of only few hundreds of attoseconds. In a recent review article in the Journal of Optics, European XFEL scientists propose how the XLEAP method might be implemented at the SASE 3 branch of the facility, eventually providing attosecond pulses for experiments. While the free-electron laser technology is almost ready to provide attosecond pulses, another hurdle is to actually prove and characterize their existence. Experiments to date at XFEL facilities have often relied on indirect measurements and simulations of X-ray pulses to calibrate results. However, only with detailed information from direct measurements of the exact time and energy structure of each X-ray pulse, can X-ray science enter a new era of time resolved and coherence dependent experiments. With this in mind, a novel experimental approach was conceived as part of an international collaboration including scientists from SLAC, Deutsches Elektronen-Synchrotron (DESY), European XFEL, the Technical University of Munich, University of Kassel, University of Gothenburg, University of Bern, University of Colorado, University of the Basque Country in Spain, and Lomonosov Moscow State University in Russia. In a study published in the journal Nature Photonics, the international groupdemonstrated the capability of a so-called ‘angular streaking’ method to characterize the time and energy structure of X-ray spikes. The scientists used the shortest pulses available at the Linac Coherent Light Source (LCLS) at SLAC in the USA for their experiment. Using the new angular streaking diagnostic method, millions of pulses, each of a few femtoseconds in length, were successfully captured and analyzed. “Being able to get the precise information about the energy spectrum, as well as the time and intensity structure of every single X-ray pulse is unprecedented” explains Markus Ilchen from the Small Quantum Systems group at European XFEL, one of the principal investigators of this work. “This is really one of the holy grails of FEL diagnostics” he adds enthusiastically. The new angular streaking technique works by using the rotating electrical field of intense circularly polarized optical laser pulses to extract the time and energy structure of the XFEL pulses. Interaction with the XFEL pulse causes atoms to eject electrons which are then strongly kicked around by the surrounding laser field. Information about the electron’s exact time of birth is not only imprinted in the energy of the electron but also in the ejecting angle. This all provides a ‘clock’ by which to sort the resulting experimental data. Pulses generated by the SASE process, as implemented at European XFEL and SLAC, are intrinsically variable and chaotic. Some of the recorded pulses during the experiment at SLAC were, therefore, already single spikes in the attosecond regime which then were fully characterized for their time-energy structure. An illustration of the ring-shaped array of 16 individual detectors arranged in a circle like numbers on the face of a clock. An X-ray laser pulse hits a target at the center and sets free electrons that are swept around the detectors. The location, where the electrons reach the â€œclock,â€ reveals details such as the variation of the X-ray energy and intensity as a function of time within the ultrashort pulse itself. Copyright: Frank Scholz & Jens Buck, DESY. he underlying spectroscopic method is based on an angle resolving time-of-flight spectrometer setup consisting of 16 individual spectrometers aligned in a plane perpendicular to the XFEL beam. These are used to characterize the X-ray beam by correlating the electrons’ energies and their angle dependent intensities. 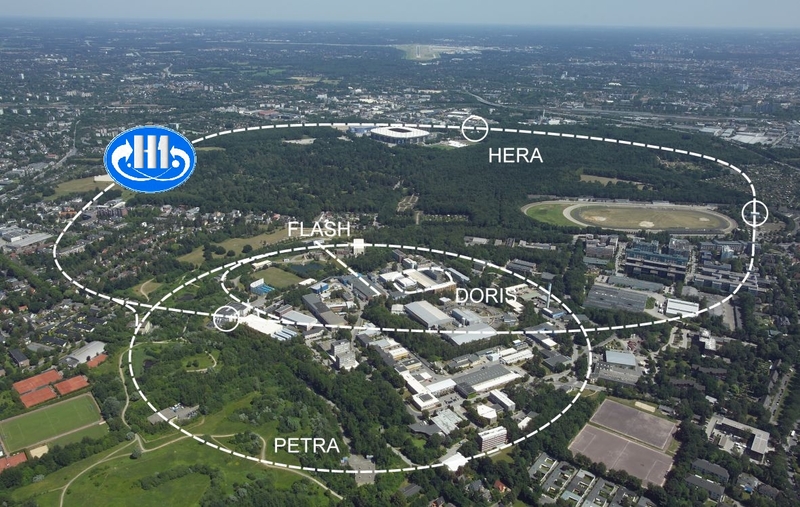 An adapted version of the spectrometer setup originally developed at the PETRA III storage ring at DESY, was built in the diagnostics group of European XFEL and provided for the beamtime at SLAC. 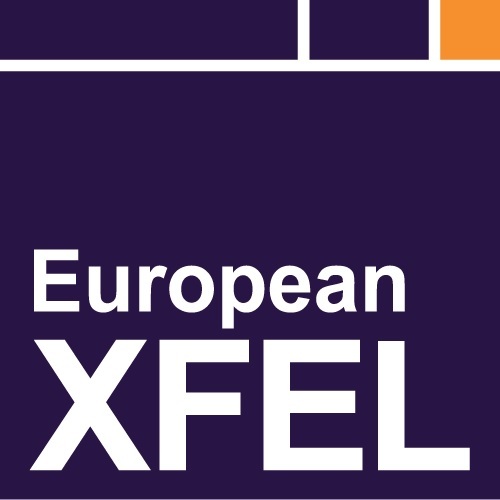 At European XFEL the diagnostic goal is that scientists will eventually be able to use the method to extract all information online during their experiments and correlate and adjust their data analysis accordingly. Furthermore, although the method has so far only been designed and tested for soft X-rays, Ilchen and his colleagues are optimistic that it could also be used for experiments using hard X-rays. 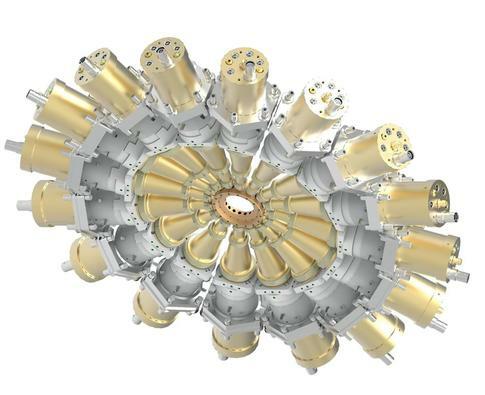 “By reducing the wavelength of the optical laser, we could even resolve the few hundreds of attosecond broad spikes of the hard X-ray pulses here at the SASE 1 branch of European XFEL” Ilchen says. During the experiment at SLAC the scientists also showed that it was even possible to use the acquired data to select pulses with exactly two intensity spikes with a variable time delay between them. This demonstrates the capability of FELs to enable time-resolved X-ray measurements attosecond to few femtosecond delay. “By determining the time duration and distance of those two spikes, we can sort our data for matching pulse properties and use them to understand how certain reactions and processes have progressed on an attosecond timescale” explains Ilchen. “Since our method gives us precise information about the pulse structure, we will be able to reliably reconstruct what is happening in our samples by producing a sequence of snapshots, so that much like a series of photographs pasted together makes a moving film sequence, we can make ‘movies’ of the reactions” he adds. 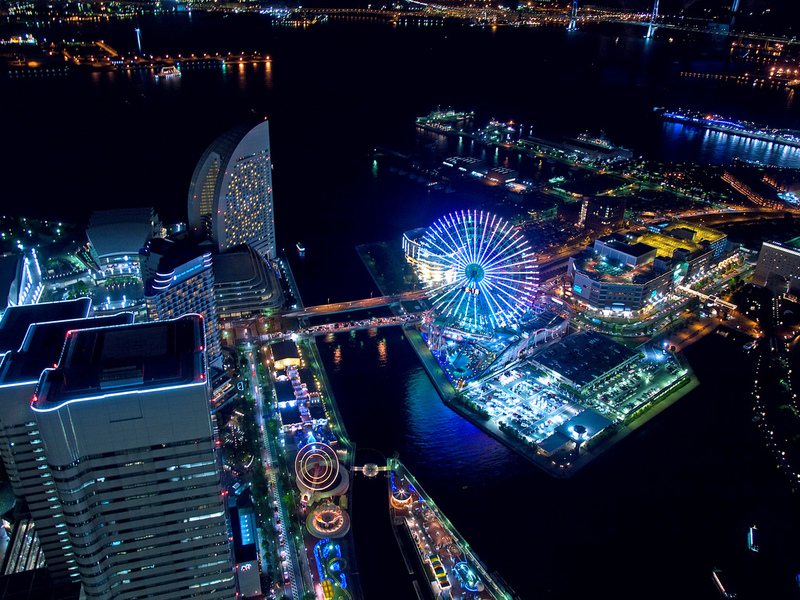 The outstanding characteristics of the facility are unique worldwide. Started in 2017, it will open up completely new research opportunities for scientists and industrial users. Innovations at SLAC, including the world’s shortest X-ray flashes, ultra-high-speed pulse trains and smart computer controls, promise to take ultrafast X-ray science to a whole new level. Accelerator experts at the Department of Energy’s SLAC National Accelerator Laboratory are developing ways to make the most powerful X-ray laser better than ever. They have created the world’s shortest X-ray pulses for capturing the motions of electrons, as well as ultra-high-speed trains of X-ray pulses for “filming” atomic motion, and have developed “smart” computer programs that maximize precious experimental time. 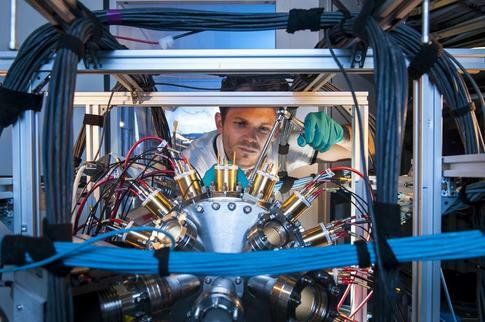 With its X-rays a billion times brighter than those available before, SLAC’s Linac Coherent Light Source (LCLS) has already revolutionized the field of ultrafast science and has opened new avenues for research in chemistry, biology and materials science. The new developments enhance the X-ray laser’s capabilities even further. LCLS’s discovery power is packed into extremely bright flashes of X-ray light, each lasting only a few femtoseconds – millionths of a billionth of a second. Like a strobe light that freezes motions too fast to see with the naked eye, these flashes capture images of atomic nuclei rapidly jiggling around in molecules and materials. But researchers would like to go further and film the even faster motions of an atom’s electrons. Two SLAC teams, led by Ding and fellow accelerator physicist Agostino Marinelli, have now made an important step in that direction. They demonstrated two independent methods for the generation of X-ray pulses of a few hundred attoseconds, or billionths of a billionth of a second, setting a record for X-ray lasers. Both groups manipulated the tightly packed bunches of electrons that fly through a special set of magnets, called an undulator, to generate LCLS X-ray pulses. They tweaked the bunches so only part of each bunch emitted X-ray laser light – resulting in a much shorter pulse length. 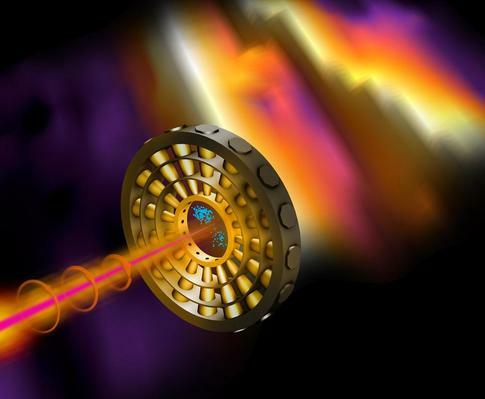 That’s why Marinelli and others are working on a third method, called X-ray Laser-Enhanced Attosecond Pulses (XLEAP). In this approach the electron bunches interact with an infrared laser inside the undulator and are chopped up into thin slices. Simulations suggest that this method, which is currently being tested at LCLS, can produce soft X-ray pulses that are only 500 attoseconds long. To make movies of ultrafast processes at LCLS, researchers use the pump-probe technique, in which they hit a sample with a “pump” pulse from a conventional laser to trigger an atomic response and then examine the response with a “probe” pulse from the X-ray laser. By varying the amount of time between the two pulses, they can create a stop-action movie that shows how the sample’s atomic structure changes over time. This works well as long as the process, such as the breaking of a chemical bond in a molecule, can be initiated with a conventional laser emitting visible, infrared or ultraviolet light. However, some reactions can only be set off by the higher energies of X-ray light pulses. In principle, these experiments could be done at LCLS now, but the time between pulses would limit studies to processes slower than 8 milliseconds. Even with the future LCLS-II upgrade, which will “fire” up to a million pulses per second, this limit would still be a microsecond. Therefore, accelerator physicists are inventing methods that generate ultra-high-speed trains of X-ray flashes for the exploration of much faster processes. Experiments with pulses of multiple colors, or X-ray energies, can, for example, enhance details in studies of the 3-D atomic structures and functions of molecules, such as medically important proteins. The fresh-slice method has also the potential to boost the power of extremely short X-ray pulses, and it has been used in seeding techniques that improve X-ray laser performance by making its light less noisy. Most of the multi-pulse methods have been demonstrated for rapid sequences of two or three X-ray flashes, but the use of even more pulses is on the horizon. A team led by accelerator physicist Franz-Josef Decker is currently working on a technique that uses multiple laser pulses for the generation of trains of up to eight X-ray pulses. 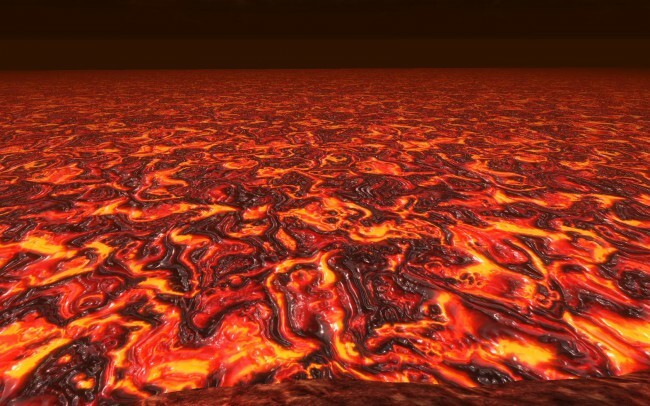 This would allow researchers to follow the complex evolution of how a material responds to high-pressure shocks, for example in the study of meteorite collisions. Underpinning all of the above research is the need to find new ways of running LCLS in the most efficient way so more experiments can be accommodated. The facility is one of only five hard X-ray lasers operating in the world, and access to it is extremely competitive. One path to increasing the amount of experimental time is to minimize the time spent tuning the machine to meet the needs of specific experiments. Until about a year ago, he says, all fine-tuning was done manually. Now it’s done with the aid of computers, which has already cut the optimization time in half. But the lab’s accelerator experts want to take automation to the next level by using a type of artificial intelligence known as “machine learning” – an approach where “smart” computer programs learn from past X-ray laser optimizations instead of repeating the same routine every time. Last but not least, machine learning will help the lab efficiently operate two complex X-ray lasers side by side when the LCLS-II upgrade is complete. 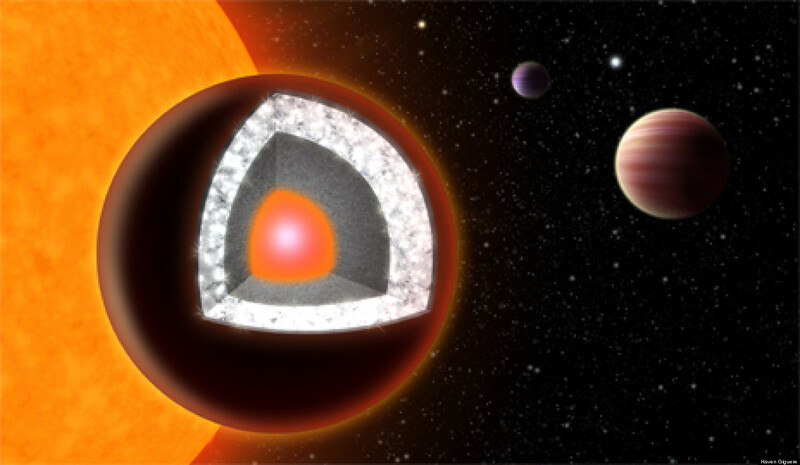 Financial support for this research was provided by the DOE Office of Science. Parts of these projects are supported by DOE’s Laboratory Directed Research and Development (LDRD) Program. To enhance LCLS performance and create new capabilities, SLAC’s Accelerator Directorate partners with X-ray instrument scientists of the LCLS Directorate and other groups across the lab, as well as with many members of the LCLS user community. LCLS is a DOE Office of Science user facility. In experiments with the lab’s ultrafast ‘electron camera,’ laser light hitting a material is almost completely converted into nuclear vibrations, which are key to switching a material’s properties on and off for future electronics and other applications. Materials that are only a few atomic layers thick have generated a lot of excitement in recent years. These 2-D materials can have intriguing properties, such as extraordinary mechanical strength and superior electrical and heat conductivity, and could benefit a number of next-generation applications, including flexible electronics, data storage devices, solar cells, light-emitting diodes and chemical catalysts. Researchers also think they may be able to customize the properties of these materials by using light pulses to rapidly switch them from one state, or phase, to another, for example from an insulating to a conducting state. However, the ability to do this depends on how efficiently the light’s energy is transferred to the material’s atomic nuclei. Now, a team led by researchers from the Department of Energy’s SLAC National Accelerator Laboratory has demonstrated for the first time that the energy transfer is very fast and extremely efficient. The researchers looked at a sample made of two layers of molybdenum diselenide – a model system for 2-D materials that can potentially be switched from a semiconducting state to a metal state and vice versa. They first hit the sample with a very brief laser pulse and then observed how its energy spread into the material over time with SLAC’s ultrafast “electron camera” – an apparatus for ultrafast electron diffraction (UED) that uses a highly energetic electron beam to probe a sample’s atomic structure and nuclear motions. Although the researchers didn’t see a phase transition in molybdenum diselenide, their results help them better understand the energy transfer from the laser light to the material. The results are also used for the validation of novel software developed by the Materials Genome Innovation for Computational Software (MAGICS) center, led by the University of Southern California, Los Angeles. Another MAGICS partner involved in the study was Rice University, where the 2-D material was synthesized. a DOE Office of Science User Facility; the Stanford PULSE Institute, which is jointly operated by SLAC and Stanford University; and the lab’s Accelerator Directorate. Samples came from Rice University, and computer simulations were done at USC. Additional MAGICS partners not involved in this study are DOE’s Lawrence Berkeley National Laboratory, the University of Missouri and the California Institute of Technology. The study was funded by the DOE Office of Science and the National Science Foundation.